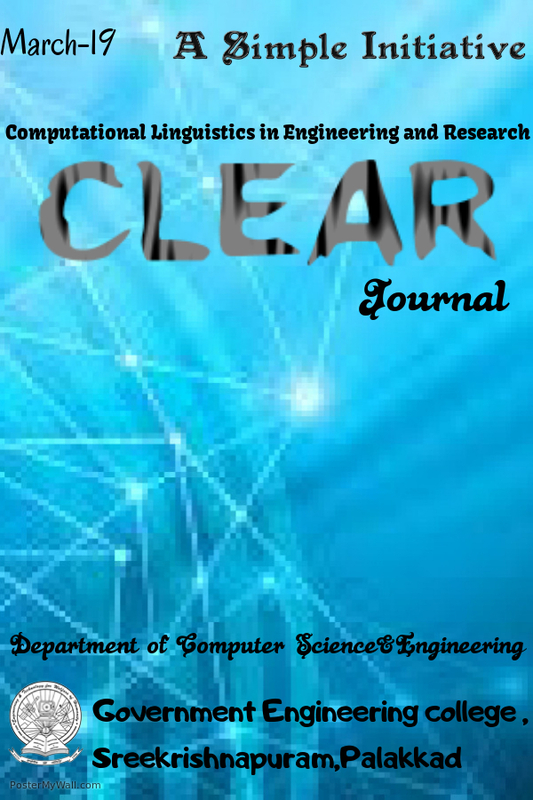 The Thirteenth issue of CLEAR Journal. 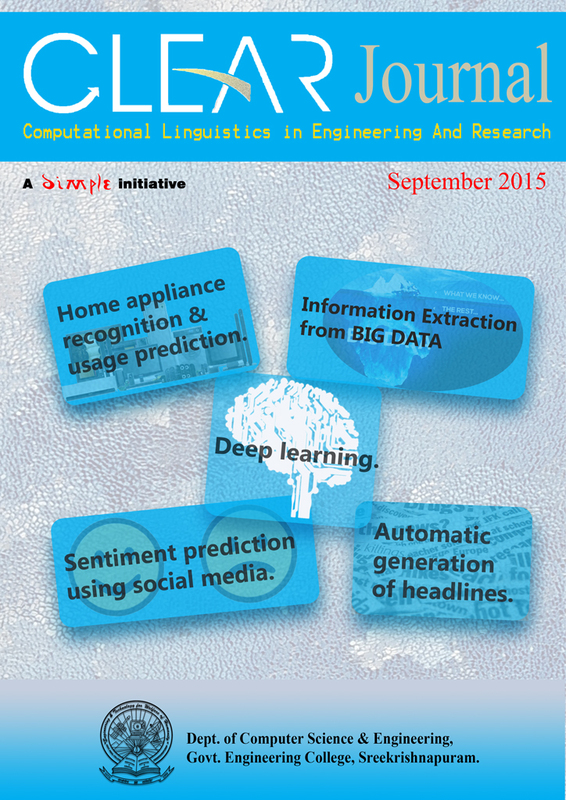 This issue contains articles of topics ranging from "Automatic News Headline Generation" to "Information Extraction from BIG DATA". The next issue will be on December 2015. Placement in SURUKAM ANALYTICS Pvt. Ltd.